During an emergency, call 212-237-8000, the College's main phone number or visit John Jay's homepage for up-to-date information for students and employees. 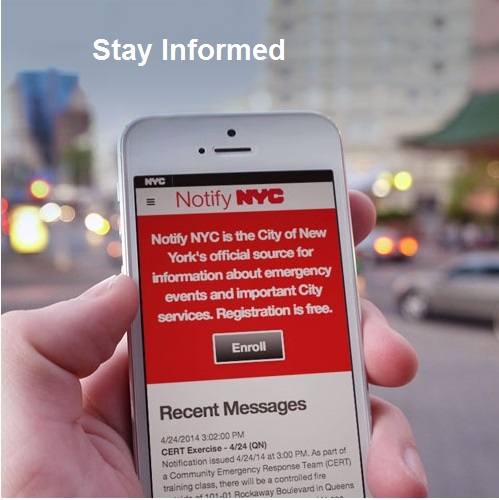 Click here to sign up for NotifyNYC, the City's free, real time emergency notification system to receive alerts by phone, text, or email. 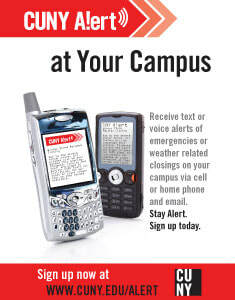 CUNY Alert allows you to receive text, email and/or voice alerts of emergencies or weather related closings on your campus; you can choose your campus or office locations, phones for voice and text messages, and/or email addresses for instant emergency communication. 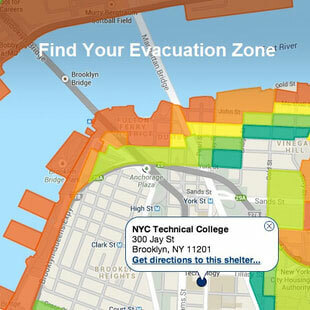 Be familiar with the NYC Hurricane Map and know your evacuation zone. There are 6 zones. Zone 1 has the highest risk of storm surge impact. John Jay's NB and HH are in Zone 6. 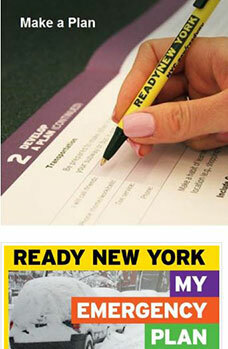 Create a plan now for family members to meet at specified locations depending upon the circumstances of the emergency. ​Use "My Emergency Plan" to input your important phone numbers, perscriptions, and other information for yourself and for family members to know your plans in case you need to evacuate. "Print it as a PDF" to save your responses. 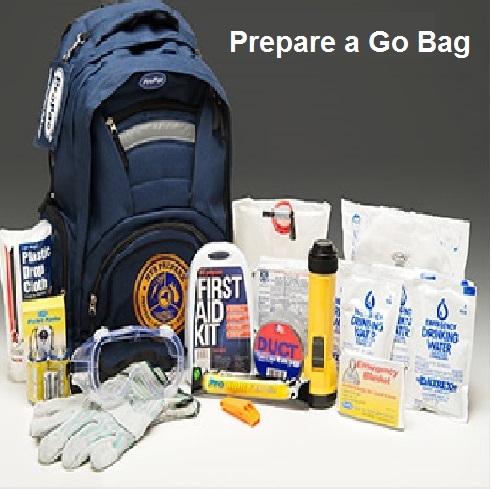 emergency supply kit on hand in case you cannot leave your home. Non-perishable ready to eat canned food and a can opener and other foods that don't need refrigeration. 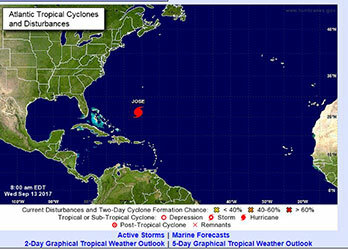 Hurricane Watch - means that conditions are a threat within 48 hours. Review your hurricane plans. Get ready to act if a warning is issued, and stay informed. are inputted addresses where family and friends live. 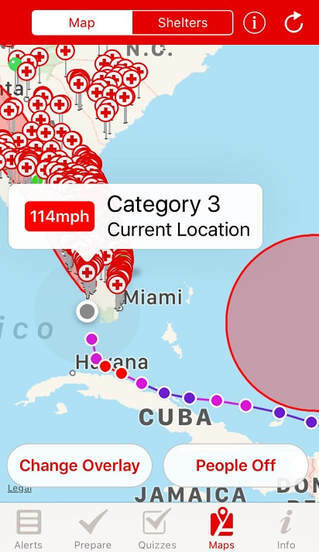 ​The Red Cross offers a free Emergency App to help in crisis situations, including hurricanes, extreme heat, and wildfires. The emergency app contains more than 35 emergency alerts to keep users safe. It also contains information about what to do in case of floods, thunderstorms, hot weather, tornadoes, wildfires, and more. 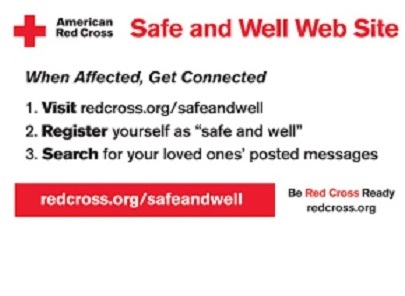 The emergency alerts are available for the user’s location and to monitor where friends and family live. Users can turn alerts on and off to fit their situation. A single map provides shelter locations and weather information. Users can easily toggle between English and Spanish. 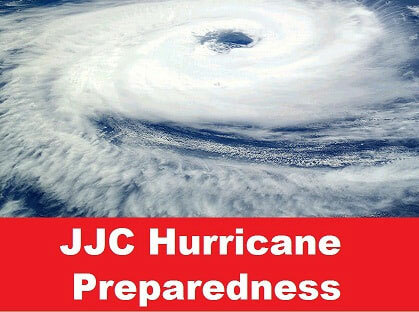 Pre-loaded content ensures guidance from Red Cross experts is available even without mobile connectivity. You can also use the Red Cross Emergency App. dial Ext.8888 which rings at all Public Safety locations.